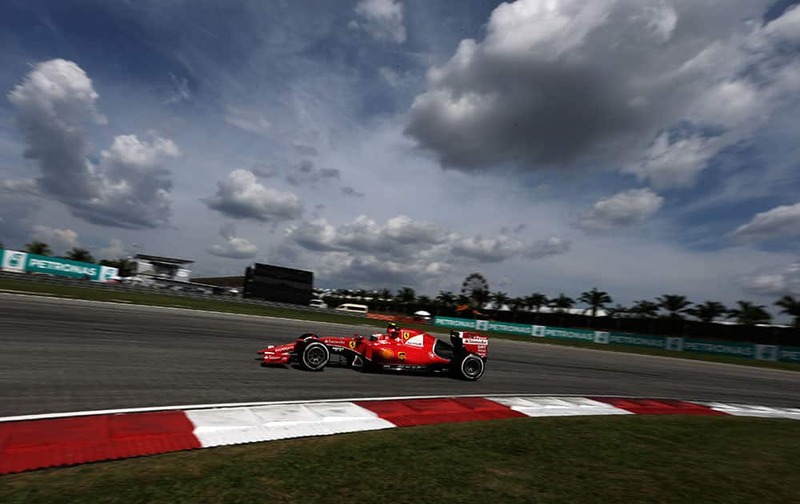 Ferrari driver Kimi Raikkonen of Finland steers his car during the Malaysian Formula One Grand Prix at Sepang International Circuit in Sepang, Malaysia. 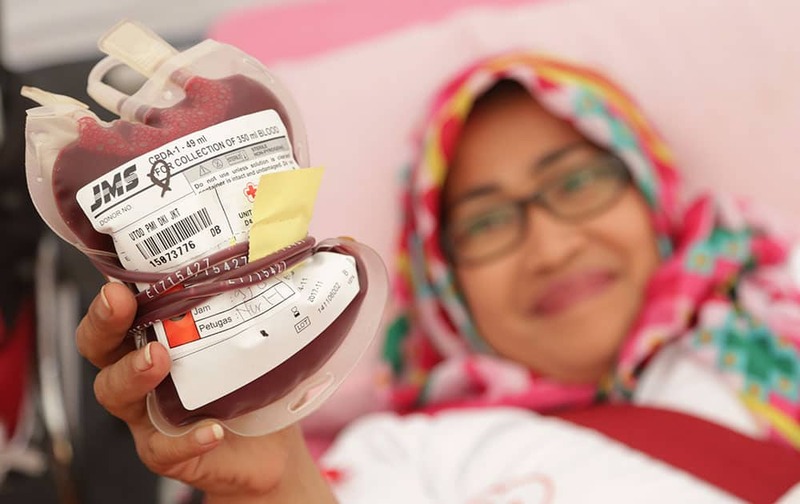 A women hold her donated blood in Jakarta, Indonesia. Blood donation activities are undertaken by Indonesian Red Cross to help overcome the shortage of blood. 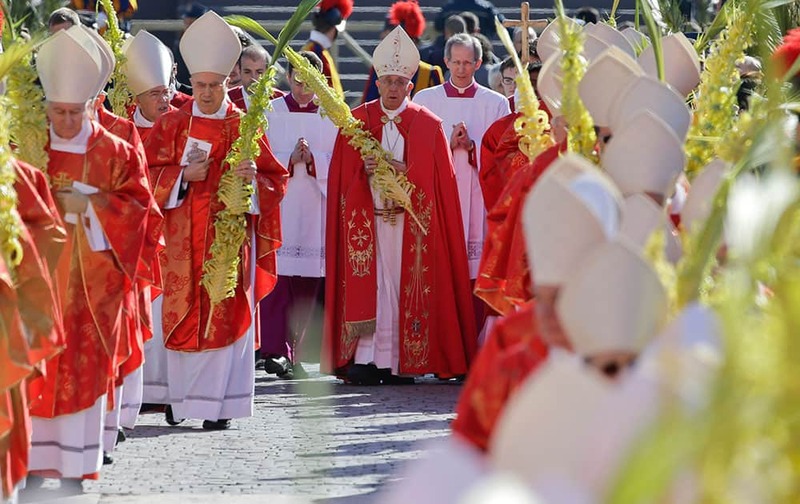 Pope Francis, center, walks in procession as he celebrates a Palm Sunday Mass in St. Peter's Square at the Vatican. 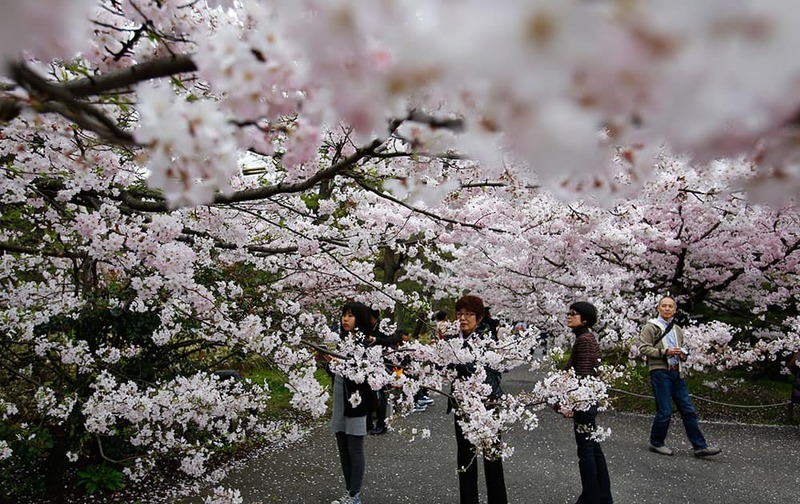 Women take photos of the blooming cherry blossoms near the Chidorigafuchi Imperial Palace moat in Tokyo. 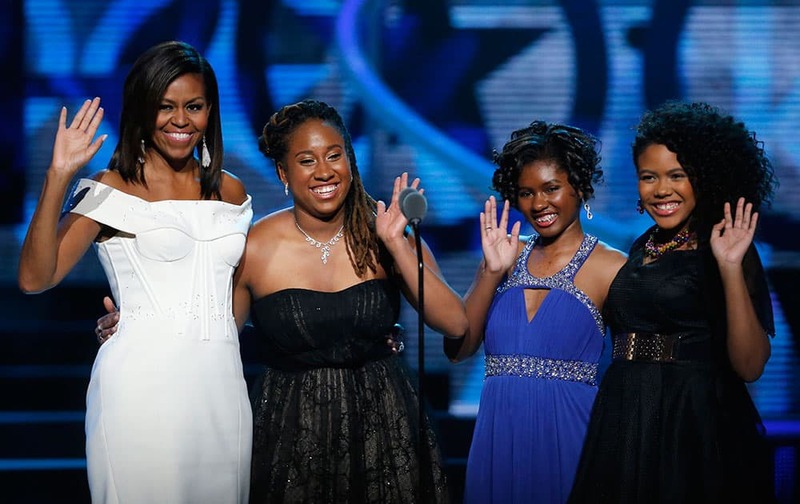 First Lady Michelle Obama, left, waves while standing on stage with Making A Difference award winners, from left, Kaya Thomas, Chental-Song Bembry and Gabrielle Jordan during a taping of the Black Girls Rock award ceremony at the New Jersey Performing Arts Center, in Newark. 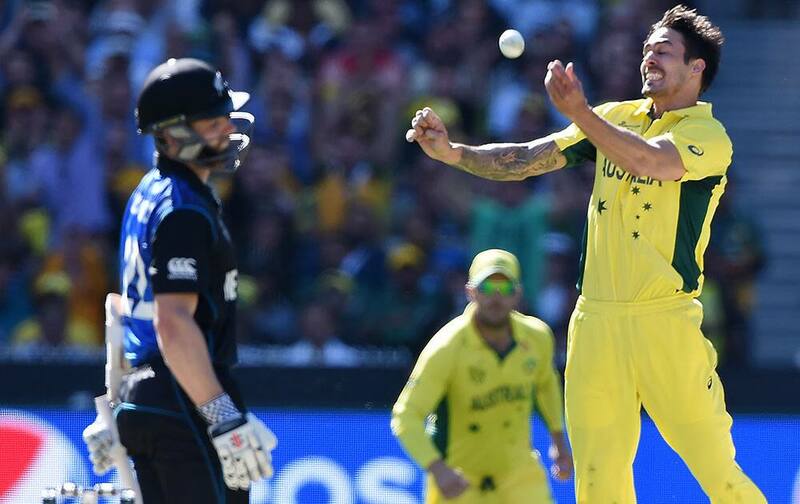 Australia's Mitchell Johnson, right, celebrates after taking the wicket of New Zealand’s Kane Williamson, left, during the Cricket World Cup final in Melbourne, Australia. 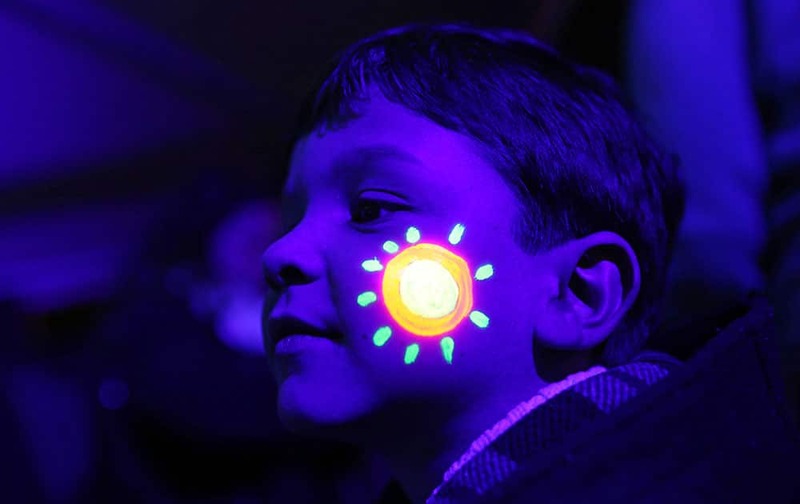 A boy with his face decorated with luminous ink poses for a photograph with others during the symbolic switching off of the lights known as Earth Hour, in Lisbon, Portugal. At 8:30 p.m. local time, individuals, businesses, cities and landmarks around the world switched off their lights for one hour to focus attention on climate change. 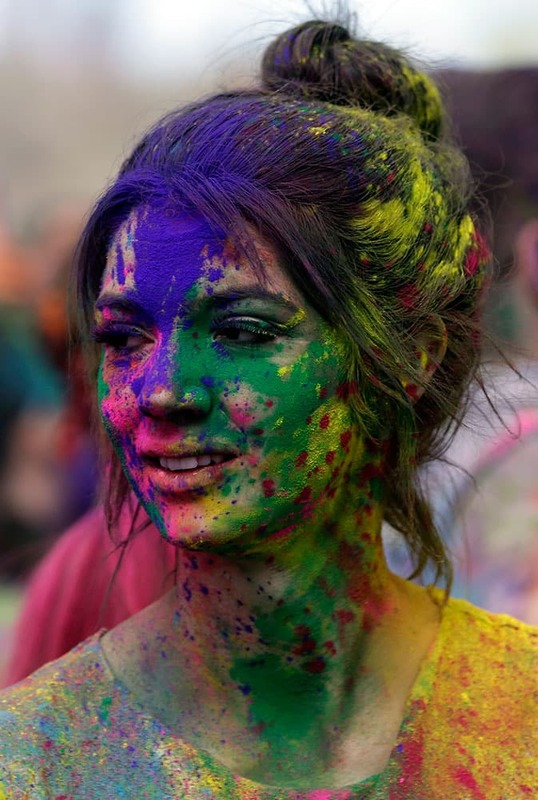 A reveler covered in colored corn starched looks on during the 2015 Festival of Colors, Holi Celebration at the Krishna Temple, in Spanish Fork, Utah. 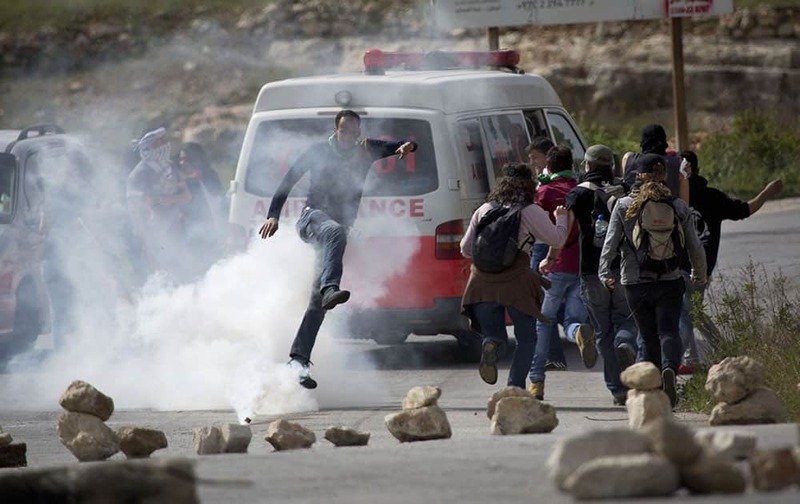 A Palestinian demonstrator kicks a tear gas canister towards Israeli soldiers as activists run away from the gas during a protest marking Land Day, in the West Bank village of Nabi Saleh near Ramallah. 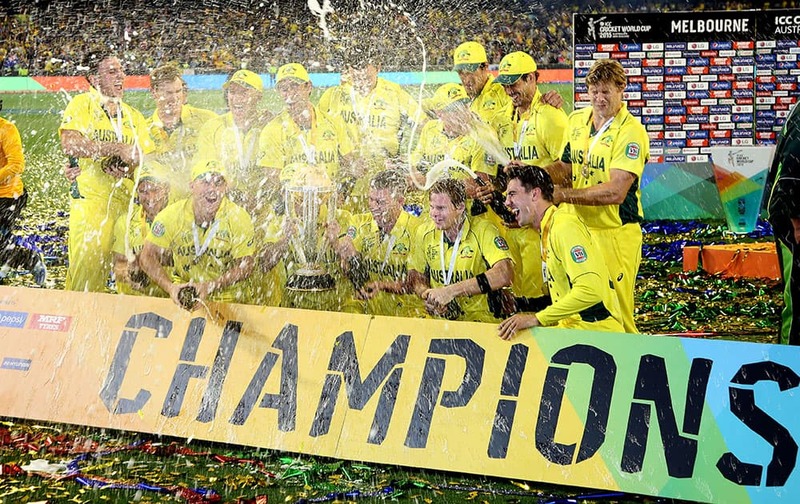 Jesse Tyler Ferguson, left, and Sarah Hyland are slimed after being announced winners of the award for favorite family TV show for “Modern Family” at Nickelodeon's 28th annual Kids' Choice Awards at The Forum, in Inglewood, Calif.
Iraqi security forces launch rockets against Islamic State extremist positions in Tikrit, 130 kilometers (80 miles) north of Baghdad, Iraq. Paula Badosa Gibert, of Spain, returns the ball to Karolina Pliskova, of the Czech Republic, at the Miami Open tennis tournament in Key Biscayne, Fla.
Indiana State Representative Christina Hale addresses the crowd during the rally. 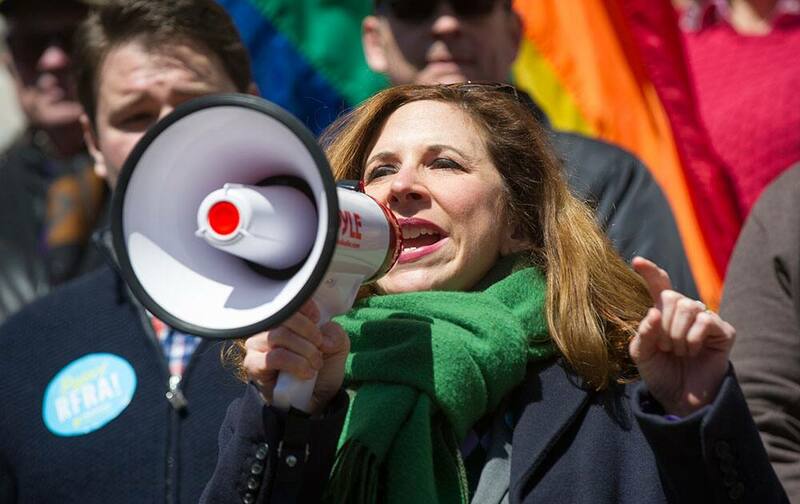 Thousands of opponents of Indiana Senate Bill 101, the Religious Freedom Restoration Act, gathered on the lawn of the Indiana State House to rally against that legislation. Chinese businessman Stephen Hung and his wife Deborah pose for photographers as they arrive at the Rose Ball in Monaco. The Rose Ball is the traditional annual charity event in the Principality of Monaco. 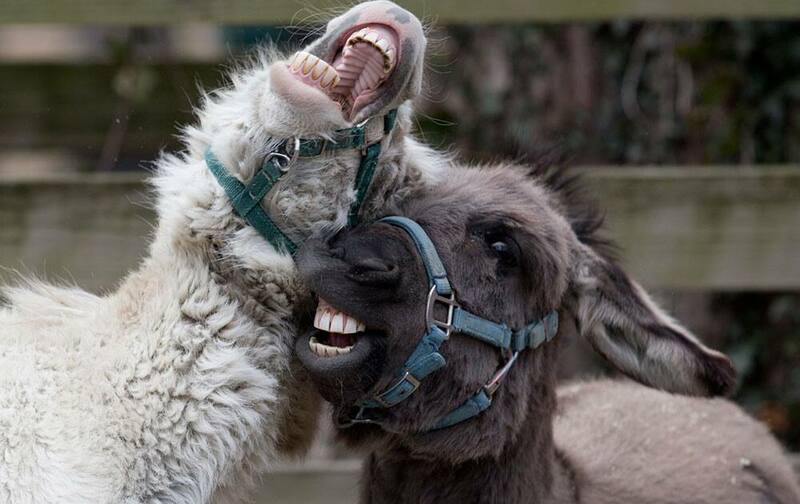 Miniature Mediterranean donkeys play in their enclosure in the Kids’ Farm at the Smithsonian's National Zoological Park, in Washington.